I have now had two amazing photo shoots of my dogs with Karen. 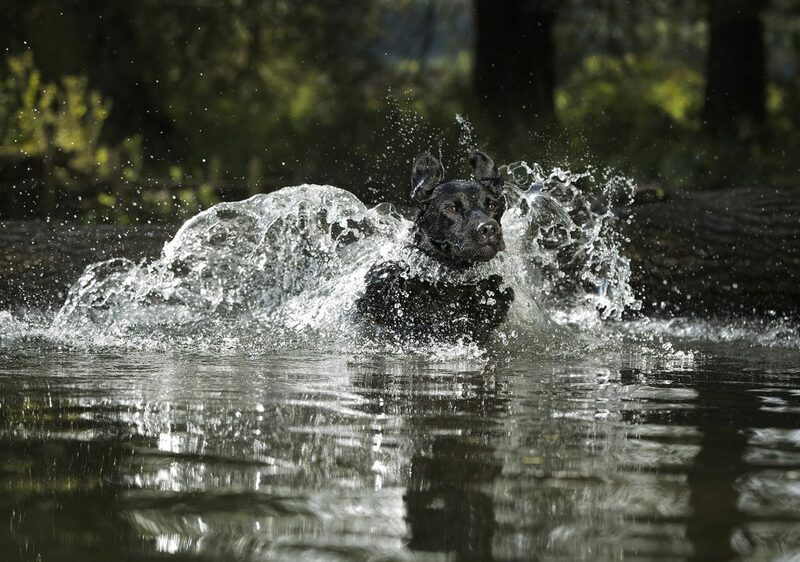 The first was in the summer whilst we were messing about in the river with my two older Labradors. One of which is black which has got to be any photographer’s worst nightmare. Nothing was too much trouble and Karen made us feel totally at ease, setting up the photo shoot to accommodate both the still and action shots I wanted. Karen had to have her whit’s about her though, especially after a number of challenging jumping shots into deep water, the wake created by my dog nearly breeched the top of her waders! The second shoot Karen did for me was at home in the garden with my 3 month old puppy. It was ideal to have Karen come to our house so that she could capture the puppy at play in a familiar environment. Karen spent hours laid out on the lawn while we enticed the puppy to play taking the most amazing shots which we now have proudly displayed in a wall mounted montage. I hadn’t appreciated that there were different types of glass to use in picture frames until I met Karen, and I have to say the art glass she recommended displays the pictures off at their very best. Karen is a very talented photographer and she manages to capture the essence of your pet as only you see them. I highly recommend Karen to anyone considering having their photos taken either with their dog or on its own.